Yukon Goldsmiths Design Studio in downtown Whitehorse is one of only three officially registered goldsmith studios left in the Yukon Territory. It sits in the historic Burns building on Main Street, originally built at the end of the Klondike Gold Rush in 1905. David Ashley (pictured) and Cheryl Rivest opened the studio in the early 1990s and currently work mainly in custom orders. Ashley began working as a production goldsmith after studying metal sculpting at the Philadelphia College of Art. He moved to Whitehorse in the late 1980s after falling in love with the territory during a motorcycle trip up the Alaska Highway. In addition to purchasing pure gold from the Royal Canadian Mint for projects, Ashley and Rivest buy gold directly from Yukon placer miners who still trek the tumultuous routes of the Klondike Gold Rush established over 100 years ago. By 2005, an estimated total of 1,250,000 pounds of gold had been recovered since the gold rush began, according to Canadian economist and Simon Fraser University economics professor Douglas Allen. 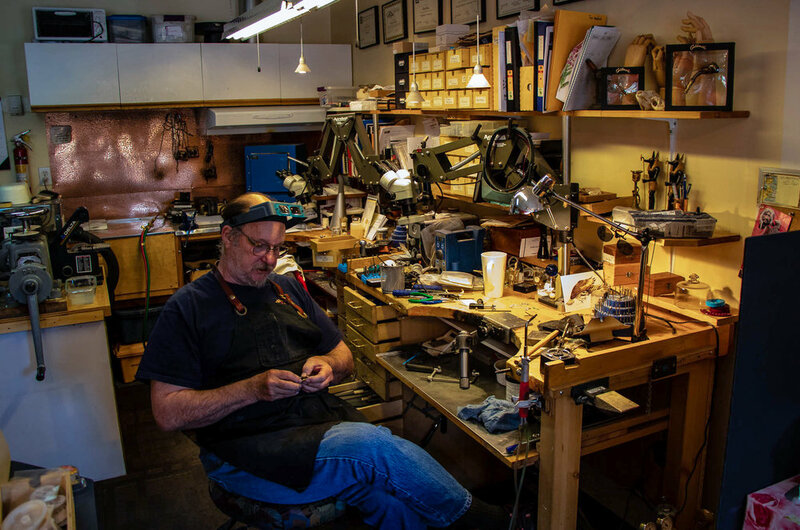 Ashley and Rivest’s studio is dotted by aged yet still functional goldsmithing and jewelry-sculpting machines and tools that look as old as the gold rush itself. They include a noisy centrifugal magnetic finisher, a large ring polisher and a crank-powered, jewelry-flattening mill (pictured). Ashley fits the nearly completed gold cap onto the wolf claw. 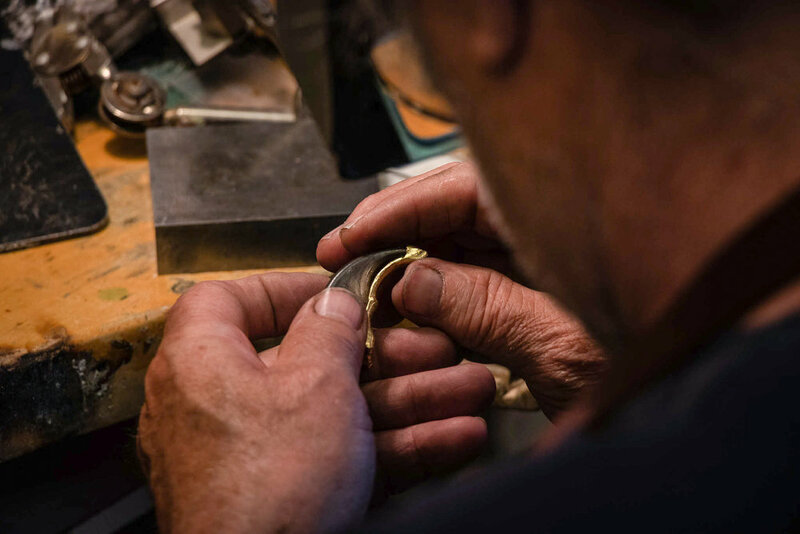 Although the Klondike Gold Rush ended over a century ago, its make-or-break legacy lives on in small Yukon goldsmith studios like Ashley and Rivest’s.